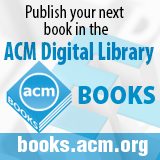 Welcome to the March 31, 2014 edition of ACM TechNews, providing timely information for IT professionals three times a week. A recent article by Northeastern University professor David Lazer in the journal Science criticizing the Google Flu Trends project is not meant to dismiss big-data research as overhyped and useless, according to Lazer. He calls the incident "a good moment for big data, because it reflects the fact that there's some degree of maturing." Lazer suggests Google Flu Trends was likely derailed by the instability of Google's search algorithm, which was variously tweaked in ways that probably boosted the number of flu-related searches and led to persistent overestimates of flu prevalence. "Most big data that have received popular attention are not the output of instruments designed to produce valid and reliable data amenable for scientific analysis," he contends. One of the challenges of big data research Lazer highlights is spanning the yawning gap between social scientists who lack computational skills and computer scientists with limited social scientific competence. He says universities should establish frameworks for computer scientists to teach courses to social-science doctoral students, and for social scientists to educate information science students on research methods. A recent study led by Kellogg School of Management professor Paola Sapienza sought to uncover reasons for the gender gap in science, math, and engineering fields, and the researchers found that employers' bias toward men in terms of perceived mathematical ability plays a significant role. "We wanted to measure the extent to which discrimination would channel through the belief that the person is less competent for the job," Sapienza says. The results indicated that women are initially assumed to be less proficient at basic math tasks than men even when they are not, a prejudice compounded by women's tendency to downplay their abilities. The study determined that even though men and women performed math tasks equally well, when women and men were pitted against each other, females were expected to perform more poorly and got hired only 34 percent of the time. The researchers also found that the probability of hiring women does not rise even when employers are presented with additional information about employees, since they fail to account for the fact that men tend to oversell their skills. In addition, the study found that both male and female employers perceived men as having stronger math skills, and observed a positive relationship between individuals' implicit gender leanings and the scope to which individuals initially preferred male employees. Research by Illinois Institute of Technology professor Aron Culotta has found that tweets can accurately predict a county's rates of obesity, diabetes, teen births, health insurance coverage, and access to health foods. As a result, Culotta says Twitter and other social media can complement other data sources for public health officials to identify at-risk communities and offer support. For each of the 100 most populous counties in the United States, he collected 27 health-related statistics, as well as more than 1.4 million user profiles and 4.3 million tweets over a nine-month period. Culotta then conducted statistical analyses to identify how accurately the health outcomes can be predicted from the Twitter data and which linguistic markers are most predictive of each statistic. He found models that augmented demographic variables, such as race, age, gender and income, with linguistic variables from Twitter that were more accurate than models using demographic variables alone. "Twitter activity provides a more fine-grained representation of a community's health than demographics alone," Culotta says. "The reason for this appears to come from the insights Twitter provides into personality, attitudes, and behavior, which in turn correlate with health outcomes." He will present his research at the ACM CHI Conference on Human Factors in Computing Systems, April 26-May 1, in Toronto. Dell Research is conducting experiments with brain and body sensors to detect a person's mood for use in computers involved with education and communications. Jai Menon, Dell's chief research officer, says the experiments at the company's new research division will use a person's brain waves, heart rate, and other body functions to detect when a person is happy, sad, anxious, fearful, or has other feelings. In the future, Menon says this mood input could be channeled to help a teacher know when students are most alert and ready to learn or to help managers better communicate with workers. "There's a lot of potential in daily use. Say I'm in my car and calling somebody and sudden fear is sensed. Well, that fear could drive a call to 9-1-1, for example," he says. "In gaming, the game can become more interesting depending on our moods, and if a device senses trepidation on my opponent's part, then maybe I can beat you now." Menon says the researchers also want to determine if certain brain activity or other body indicators cause the same moods in a majority of people. However, he cautions, the mood research is in its early stages. University of Pennsylvania (Penn) researchers are developing "automated program synthesis tools" that check whether human-supplied code operates correctly, and offer suggestions for filling in the coding details of more generally defined goals. The researchers envision the future of programming to be a collaborative effort between humans and computers. The researchers have already started testing their tutoring tool with students in programming classes at Penn, the University of Illinois at Urbana-Champaign, and Reykjavik University. The first subject was a fundamental programming concept called autotmata theory, in which students flow-chart diagrams of simple machines that represent the steps involved in the execution of a piece of code. If the student's diagram produces faulty results, the tool can determine which parts of the program are responsible and highlight them. The researchers found that students who used the tool came to the correct answers faster than their classmates who only got right-or-wrong feedback. The researchers say their tool can be used for any subject with questions and answers that can be phrased in mathematical terms. The Wild Dolphin Project is developing algorithms that will analyze animal sounds to determine if information is transmitted in an attempt to understand animal behavior. The project is currently developing the Cetacean Hearing and Telemetry (CHAT) system, built by researchers led by Thad Starner at the Georgia Institute of Technology. To date, CHAT has identified one sargassum whistle, which researchers think means seaweed. Its audio profile looks different from the whistle the researchers taught the dolphins, with the same shape but at a higher frequency. CHAT is based on pattern-recognition algorithms, and is designed to analyze dolphin whistles and extract meaningful features a researcher might not think to look for. The researchers also want to analyze what dolphins' natural communications means, in addition to listening for invented whistles. With better information-processing tools, researchers can analyze huge data sets of animal behavior for patterns, says University of California, Davis researcher Brenda McCowan. Other scientists are conducting similar research with white-cheeked gibbons and rhesus macaques. Cybersecurity experts doubt whether U.S. President Barack Obama can follow through on his assurance the U.S. National Security Agency (NSA) is not spying on ordinary Americans' communications, given the existence of loopholes that, in combination with intelligence agencies' capabilities and rules, still imperil privacy. For example, Stanford University Center for International Security and Cooperation cybersecurity fellow Jonathan Mayer conducted research showing that 5 to 10 percent of all visits to popular U.S.-based websites bounce off foreign servers, and this technicality could be exploited by agencies to legally collect personal data. "If you define almost nothing as breaking the rules, it becomes easy to say, 'Don't worry, we never break the rules,'" Mayer warns. Disclosures from former intelligence contractor Edward Snowden and others reveal ambiguous regulations that NSA and other intelligence gatherers adhere to. For example, NSA is permitted to store encrypted domestic or foreign communications at least until analysts can descramble it to see whether it contains data relating to national security. This could include an immense volume of domestic communications because popular services such as Facebook are adding encryption. Meanwhile, domestic communications with foreign targets can be collected without a warrant if the point of collection is outside the United States. Indiana State University (ISU) professors Geoff Exoo and Jeff Kinne are spearheading a local effort to find rare prime numbers by tapping the collective intelligence of 75 computers that are dedicated to the project full-time and 75 that are committed on a part-time basis. The initiative aims to find the largest prime numbers, the largest twin primes, and the largest Sophie Germain primes. Every Friday evening, a student working with the ISU Office of Information Technology uses a USB key to reboot the machines into a Linux operating system and starts the program. "Then, on Monday morning, the computer automatically reboots itself back to Windows, and the lab users never even know the computers were searching for prime numbers over the weekend," Kinne notes. The discovery of a possible new prime number triggers an alert to the team, and then the data is confirmed several times. The professors say their program could, in theory, be set up to run in the background of any computer without ever inconveniencing users. The effort has so far yielded the 12th, 13th, and 18th largest known Sophie Germain prime numbers and the 14th largest known twin prime. Researchers are developing a system in which a curved camera lens is replaced with a tiny sensor that uses a spiral shape to map light and relies on a computer to determine what the resulting image should look like. Gordon Wetzstein, a research scientist at the Massachusetts Institute of Technology's Media Lab's Camera Culture Group, is optimistic about the technology, but is unsure about how well it will work. "Other than pixels getting smaller, we haven't really seen much progress in camera sensors for a while," Wetzstein notes. A prototype of the system has been used to capture several images, including the Mona Lisa and depictions of John Lennon and Georges Seurat's "Bathers at Asnieres." The system uses a grating etched with a spiral pattern through which light can enter from every angle. The sensor captures a group of spirals that a human would not see as recognizable things, and software translates them into a recognizable image. In addition, algorithms let users ask the computer to produce images at various resolutions, notes Rambus researcher Patrick Gill. The Computer History Museum recently made the original source code for MS-DOS and Word for Windows publicly available for the first time. The museum specializes in the preservation of historical computing materials, and is releasing the source code of both products to ensure future generations can appreciate how far the software industry has come over the years. "We think preserving historic source code like these two programs is key to understanding how software has evolved from primitive roots to become a crucial part of our civilization," says museum chairman Len Shustek. Both products played an important part in helping Microsoft become the household name it is today, according to Microsoft distinguished engineer and managing director Roy Levin. "By contributing these source codes to the Computer History Museum archives, Microsoft is making these historic systems from the early era of personal computing available to the community for historical and technical scholarship," he says. In a Linux Foundation survey of 700 business managers and software developers, 91 percent said collaborative software development is important to their business, with 77 percent adding the methods enabled them to achieve a faster time to market. The foundation focused on development that is done transparently with open source code. Investing in collaborative development will likely remain part of normal business operations for most organizations, considering 44 percent of respondents expect an increase in efforts over the next six months and 42 percent said they will likely sustain current investments. "Based on our experiences working with companies investing in collaborative development, the investments are largely in developers to work on the project with their peers across companies," says the Linux Foundation's Amanda McPherson. "I would expect more investments here." Nonetheless, the top challenges cited for collaborative software development were politics, legal issues, and understanding governance practices. What stands out in the results is the decision to build software collaboratively comes from the top of organizations. "It makes development sense, and it makes business sense," McPherson says. In an interview, Facebook engineer Julien Verlaguet discusses the intent of the Hack language, which brings static typing to the PHP domain. "Dynamically typed languages in general...offer [fewer] guarantees, like static guarantees," he notes. Hack is designed to be compatible with PHP while adding static typing and other language features that ease developers' burden, Verlaguet says. He cites Hack's collections feature as another key capability, in which PHP arrays are replaced by a collection application programming interface to separate use cases in clean subsets. "Now you have an object set, an object vector, an object map that is specialized for each use case, while arrays were used for everything before that," Verlaguet notes. He also says Hack tends to interoperate smoothly with PHP because it runs on the same HHVM virtual machine. Verlaguet says the open-sourcing of Hack now requires Facebook to account for the feedback of new users who will attempt to use the language for their own needs and projects. "They're going to have problems because they are probably using PHP and Hack in a different way than we do it at Facebook and we will have to go after these problems one after another," he predicts.